Last week a good friend of mine Jo celebrated a milestone birthday, she’s someone you might know and blogs over here. I knew her before she really started sewing so she might blame me for her addiction but I can live with that. 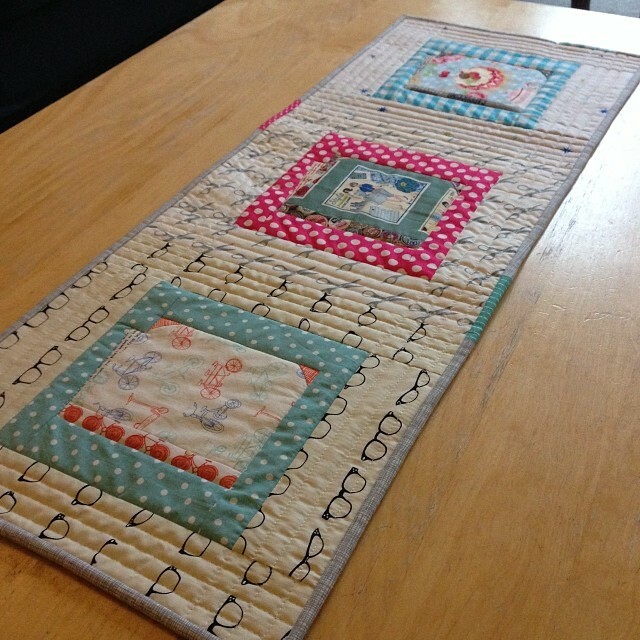 Call it what you like; a table runner, mini quilt or wall hanging. 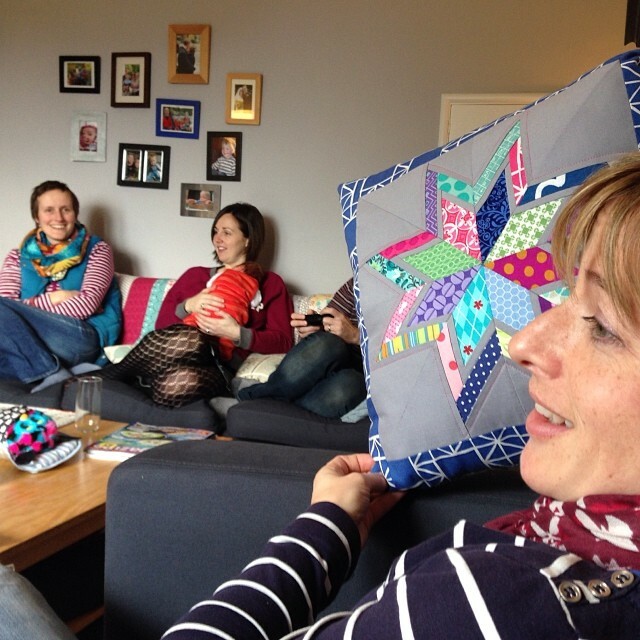 We each made a block reflecting some of Jo’s interests. If you didn’t guess, Emily made the bike book, I stitched the sewing one and Susy the cake (pattern from Patchwork Please). 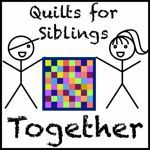 Susy very kindly took delivery of the blocks and put them together, quilted and bound – thanks. 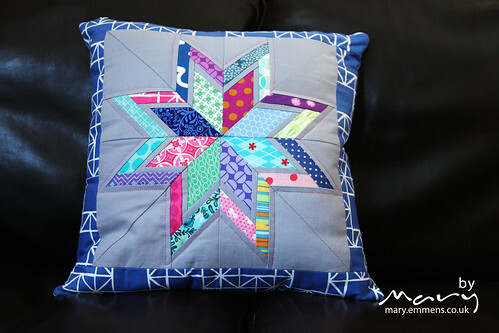 For a while I’ve wanted to make a lone star, I was again reminded of this during the Cushions for Christmas blog hop. I thought that I could make one up and turn it into a gift for Jo’s birthday from our family. So the week before Jo’s birthday I printed off the pattern (free here). 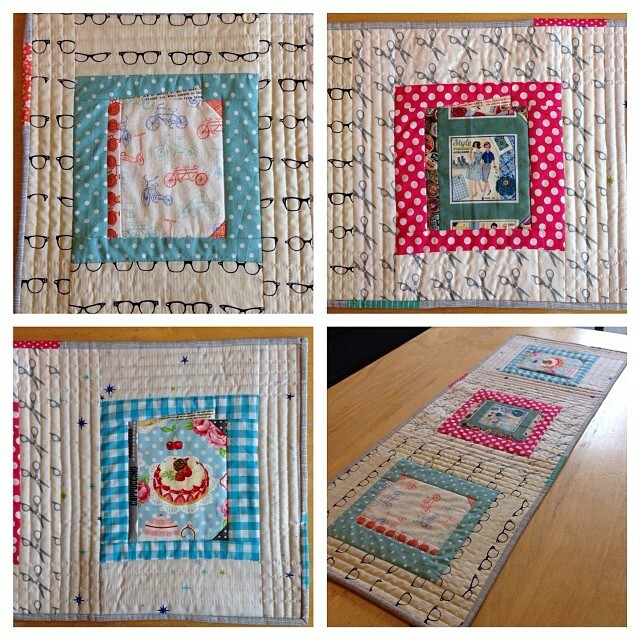 Bethan helped choose fabrics from my scrap boxes that we thought were ‘Jo’ and I got stitching. Like me Jo has 3 children and I know how grubby things can get so rather than use a white background fabric I used a grey which also felt like a Jo colour! There are scraps in there too from Catrin from a swap I joined. 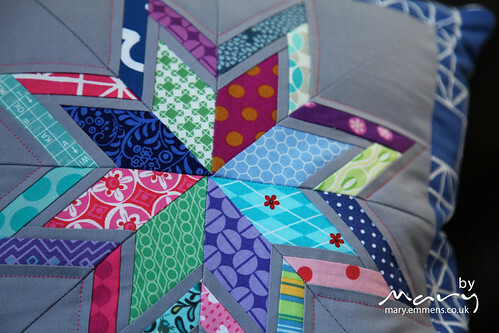 I machine quilted around the star using Aurifil 2530. After thinking that I didn’t have an invisible zip I was trying to get my head into gear to put in a concealed zip (across the back with a flap over rather than invisible in the seam) when I searched again and the invisible zip became visible – phew! On Sunday morning our family went to Jo’s for breakfast along with another family, something we try to do fairly regularly and the girls were very keen to give the present. 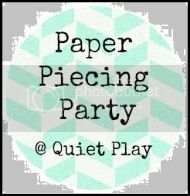 A really satisfying paper piecing project, I see more of these in my future! Yey! Still stroking and loving them. I have them upstairs away from the little grubby people! Great makes for Jo. Love the cushion and think the grey is the perfect choice! What a brilliant cushion! 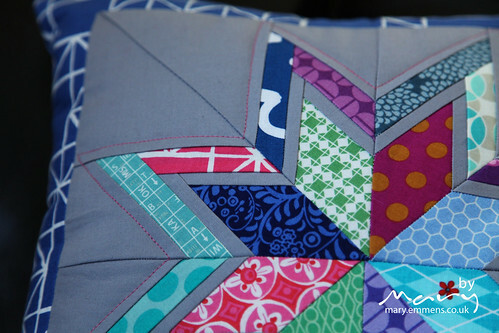 best colours and my favourite quilt blocks fabric! I think it really should have been for me!! I’ve been looking for a lone star pattern after seeing a Cherry Christmas one on the Cushions for Christmas hop, thanks for the link! Gorgeous gifts! I adore those books! Lovely pressies , lucky Jo! What lovely gifts! 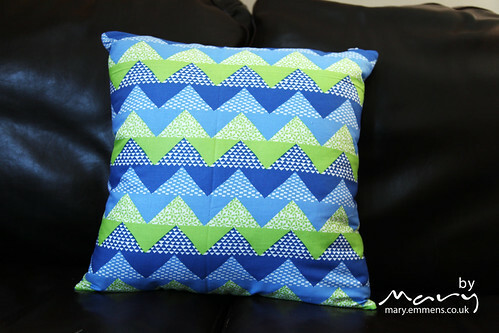 The cushion is just gorgeous – beautiful fabric choices! Fabulous pressies missus, love the star!